Jewers Doors is pleased to announce that Ben Pritchard has been appointed as its Middle East Sales Representative. Ben will be based in Dubai and will directly represent Jewers Doors in the United Arab Emirates, Qatar, Saudi Arabia, Bahrain, Kuwait and Oman. He will also monitor a wider geographical territory including Egypt, Cyprus, Lebanon, Yemen, Syria, Sudan and Libya. Managing Director, Chris Jewers, says: "The Middle East continues to be a very important market for Jewers Doors. The appointment of Ben Pritchard ensures continued market expansion in the Middle East for our Esavian range of hangar doors and for our Phoenix industrial doors." Speaking of his appointment, Ben Pritchard said: "This is an exciting career move and an interesting challenge for me. The Middle East is a large area with many different cultures but Jewers Doors already has an established high reputation in this market. Both the Esavian and Phoenix ranges of doors are well-known and I look forward to representing Jewers Doors to an increasing number of clients." Ben Pritchard can be contacted on email bpritchard@jewersdoors.co.uk or telephone +971 561 373522. 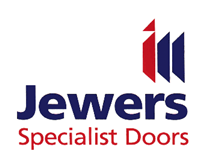 Jewers Doors is a family-owned business with three brothers as directors – Chris Jewers (Managing Director), Mark Jewers (Phoenix Director) and Jonathan Jewers (Esavian Director). It was started in 1983 by their father, Nigel Jewers, who maintains a keen interest in the engineering side of the business. It now undertakes contracts throughout the world for governments, armed forces and private companies.